This looks like a wonderful spring meal!! I love that bread and tomato oohhh yum. It was almost too good. You’re right, it’s still decadent but the tomato/basil makes it feel like the perfect meal for spring! Fancy pants grilled cheese! I like it!! YES PLEASE!!! I’ve made a very similar grilled cheese to this!! It’s SO good!! You’re awesome!! That’s the best part of grilled cheese – you can make a million variations and it’s almost always delicious! i’m so not a grilled cheese girl at all and never have been, probably bc i am not a fan of American cheese (blech) or regular bread either. 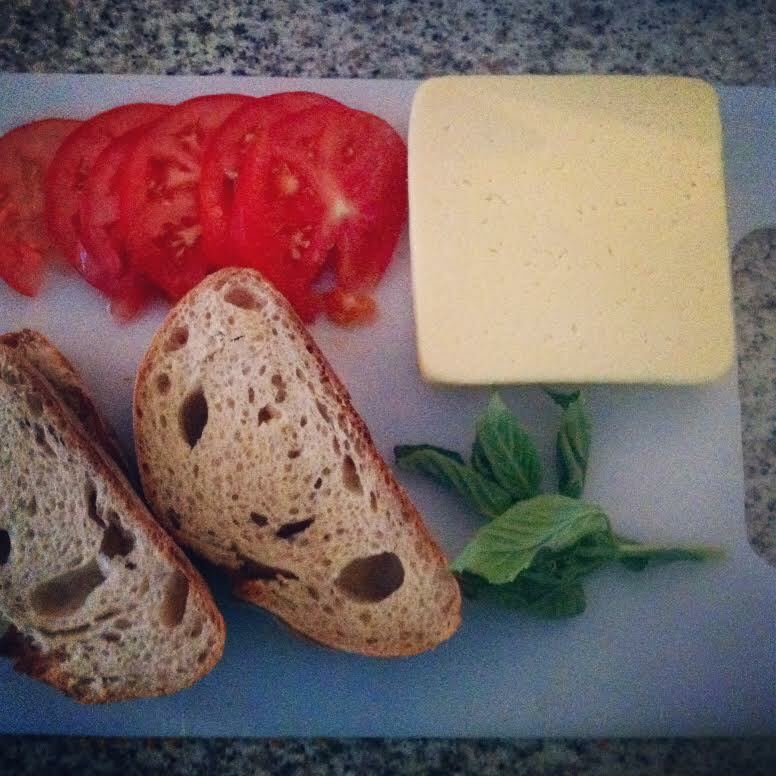 however, this harvati tomato on Italian w/ basil combo sounds amazing. i have to give it to you there! Haha yeah I’ve never ever liked it at alllll. Some people are so weird about the sweet/salty thing but I’m with ya…I love it!! That sounds so great! I’m such a grilled cheese lover. I typically make my grilled cheese plain, then have some tomato soup on the side. Nothing like dipping your grilled cheese into some hot tomato soup! God, I love Havarti. And Tomatoes, and Basil. This makes me think of summer.